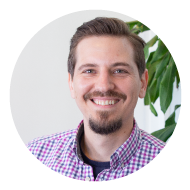 Read what Steve's learned as a Sonarian, meet Bri, and enjoy exclusive access to our newest research—Online Conversation Benchmarks. Enjoy! The impact of athletics on the conversation—it will surprise you! For all of these topics, we provide comparative analysis, insights, and benchmarks for the following institutional characteristics. This study was rigorous. Sampling was based on the 2015 Carnegie Classifications, and there’s a 14-page methodology appendix detailing how the data was collected and analyzed. Not only does this study provide the industry with a clear overview of social listening and its implications, but it puts social listening in context for every institution. I hope you’ll read the study. Or send a link to your friends and colleagues! It’s available at http://info.campussonar.com/benchmarks. If all this data is a bit much for you, we’ll be breaking it out into bite-size pieces over the year on the Brain Waves Blog to focus in on key insights applicable to marketing, communications, admissions, athletics, alumni engagement, and advancement. And if you have feedback, questions, or comments, we want to hear from you! Joining a new organization is always hard. There’s a new culture to assimilate to, new routines to build, and new processes to learn. Add in a new subject matter and a completely new work environment—hello, full-time remote work!—and change can feel, at times, overwhelming. But we only really grow, personally and professionally, when we’re confronted with change. And boy, have I grown in these last several weeks. I’ve always felt that part of the learning process is sharing those lessons with others. And since I officially joined Campus Sonar roughly five weeks ago, it seemed only right to share five things I’ve learned during that time—about social listening, remote work, self-care, and the real MVPs at Campus Sonar. Social Listening Is HARD. As an outsider, social listening can seem…almost easy. Much of that impression lies on our collective reliance on software to power our decision-making. But as a geometry teacher used to tell me, if you put garbage into a calculator, you’re going to get garbage back. The key to real social listening comes in the form of high-quality, lengthy Boolean queries. I got a taste of this on my first day at Campus Sonar, and the difficulty of the task still sticks with me. Writing these queries is like coding; one small mistake, and your entire result is affected. And that point leads me to lesson number two. The Human Element Reigns Supreme. Software is great and all, but it still takes a human, and a skilled human at that, to instruct the software on what to find, write rules that clean out irrelevant conversation, and then analyze the treasure trove of conversation in order to find themes and patterns. That’s a tall task, but our analysts make it look easy; it’s no surprise they get so much love from everyone else on the team. You Need a Filter. In my early conversations with friends and colleagues in higher ed, I’ve heard multiple people indicate that their small institution doesn’t have enough conversation taking place to invest in social listening. But with each report, free snapshot, and client deliverable I come across, I’m realizing that the challenge in social listening isn’t so much finding enough relevant conversation, but identifying the conversations that matter most to an institution and understanding why it matters to them. As with everything in business, strategic goals are paramount. Remote Work Is the Future. During the campus-based portion of my career, working-from-home was largely a wish list item. Snow days meant days off, sick kids meant taking sick days, and home appointments meant taking vacation time. Working from home doesn’t, and won’t, work for everyone, but as I settle into my new routine at Campus Sonar, I’m convinced that more organizations, especially in higher education, need to get on board with the concept of remote employees. The benefits—namely flexibility and better work/life balance, are incredible. And if you can’t trust your employees to be productive off-campus, maybe you should ask yourself why you hired them in the first place. Be Kind to Yourself. Learning new concepts is difficult. And the longer you’ve focused on a different subject matter, the more frustrating that transition can be. I tend to be harder on myself than anyone else, but the nurturing, mentoring attitude of Campus Sonar teammates has reminded me that it’s important to forgive yourself when you don’t immediately grasp a topic. Learning takes time. It’s a process. And as we like to say in Philadelphia, trust the process. 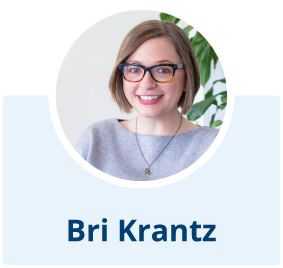 Welcome to our newest Sonarian, Bri Krantz! Bri joined Campus Sonar last month as our Marketing Manager. She's excited for a new challenge and to get back to her marketing roots. In her spare time she loves puzzles and hanging out with her favorite furry friend—Kitten. How social listening can help us align our intentions with actual behaviors and actions. I’m a firm believer in self-reflection and using that reflection to better understand how we interact with, and react to, the world. Who we truly are doesn’t only impact us, it impacts everything we engage with (or even don’t engage with). In order to be intentional individuals or organizations, we should have an awareness of that and consider it when we build relationships, make decisions, and have conversations. Social listening is like a great therapist; it’s unbiased feedback we can use to help understand how we’re interacting with the world and if our actions match our intentions. I think we’re living in a world where we could all benefit from more reflection, and not just a one-time thing but honest, intentional, ongoing consideration. How much positive is out there that can too easily get covered by the negative if we don’t pay attention. Especially in the social world where it’s easy to focus on the trolls or latest bad or heartbreaking news—social listening is again that unbiased ear to what’s really going on and being shared, and often there are some really beautiful gems in the mix that are sadly easily missed. It is currently February in Wisconsin, so two words: Hot. Yoga. When it’s freezing (more often below) and everywhere I turn I’m buried in ice or snow, a hot class that allows me to stretch my muscles and clear my mind is absolutely amazing. What’s your most significant current challenge? Related to being new to Campus Sonar, it’s trying to give myself space to not know everything all at once. I’m the type of person who’s used to knowing most things about the topics I’m in charge of, so to be new is hard! Thankfully I have great folks around me in the company who are gracious teachers and dedicated to lifting each other up so we’re all successful. The Witch Elm by Tana French. I’m a huge fan of mystery novels, and Tana French has emerged as a favorite in the genre. She has a really unique way of presenting and developing characters I feel like I haven’t particularly come across before, and it’s been a joy to read her books. Nothing, but I have recently started watching the series The Passage on Hulu. It’s based on the novel trilogy by Justin Cronin, and is one of my favorite series’ I’ve ever read. He is another author who is amazing at developing characters (there’s a theme to my reading, which probably isn’t surprising for someone who enjoys marketing!). I remember being absolutely engrossed in the first book (of the same name as the show), so I’m really curious to see how the show plays out. Plus, it stars Mark-Paul Gosselaar and so far he’s redeeming himself from his Zack Morris days. Probably Instagram. I love Twitter, but the pace tends to be a little too fast for me. Facebook is on its way out for me outside of being a photo repository I need to someday purge. I love Snapchat too, but more so to keep up with others who are much funnier than I am than sharing anything myself. I think the simplicity of Instagram is what I like most. Snap a photo, share a few words, and if you want to share across platforms, it’s fairly easy. I love seeing snippets of peoples’ lives, sometimes with little or no context. It’s fun to imagine where people are, what they’re doing, and what may have influenced them to share something. Sarah Knight. She is known as an “anti-guru” of the self-help world, having written some very … colorful … such types of books. What inspires me about her is that she decided she wasn’t happy with life, made a plan, and changed it. Within that, she also wrote some fabulously funny books on the things we should all know by now but don’t; in a nutshell, to spend your energy caring about what really matters to you, getting out of your own way, and being happy. From her actions to her amazing writing to her entertaining tweeting, I find her an inspiration. Teleportation. Winter is the worst and I often wonder why I live in Wisconsin, until spring or fall come around and I walk around smelling the air like a weirdo because it’s so fresh and lovely or running through puddles like a kid because it’s still just as fun as an adult. But still, getting somewhere in a flash (without having to drive) would be really super. What's the most honest social network? Rochelle: Users will get out of social media what they put into it. If you live honestly, authentically, and transparently, your online experience generally reflects that. Of course, there are things out of our control—the platform’s algorithms, for example, can and do act as an information gateway, dictating what we see and the frequency with which we see it. Algorithms, digital ads, and bots aside, if you’re a critical thinker and a mostly honest human—the platform you use won’t matter. The GreenBook Research Industry Trends Report (GRIT) is the market research industry’s most comprehensive and widely-read analysis of the insights industry. For the first time this year, they compiled a GRIT Future List—16 emerging leaders across the insights industry. The leaders were nominated by peers and hand-selected by a team of highly recognizable professionals. 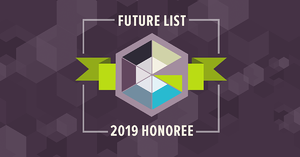 Dr. Liz Gross, Campus Sonar’s Founder and CEO, was nominated as one of the 16 emerging leaders. The GRIT Report has included social media analytics for the past few years, detailing it as an emerging market research technique. Social listening is part of social media analytics that needs to integrate into the research and data practice of most marketing organizations. Liz, Campus Sonar, and the GRIT Report have been at the forefront of moving these new methods forward in the market research industry, pushing the boundaries of social consumer insights research to be not only the best and most innovative in higher education, but within the research industry at large. Social Listening: Business Critical to Your Institution’s Success by Alex Wedderburn, January 16, 2019. Six Reasons Why We <3 Human Analysts by Amber Sandall, January 23, 2019. Five Tips for Creating a Social Strategy that Pays Off by Kayla Lewis and Rema Tavares, January 30, 2019. ListenUp EDU: A Cross-Functional Higher Ed Conference for Innovators and Change Makers by Liz Gross, February 6, 2019. 2019 Convention Legislation: Division III—At their annual convention, delegates for NCAA Division III voted to deregulate social media restrictions, permitting athletics department staff to connect with prospective student athletes and to take actions that indicate approval of their social media content. Our new report on online conversation benchmarks offers insight into how this benefits small institutions and creates greater brand alignment. 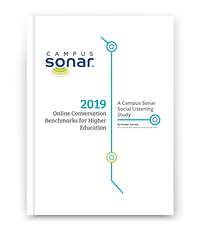 2019 Online Conversation Benchmarks for Higher Education—Campus Sonar’s newest research that is designed to provide you with data to define your online conversation, conversation volume, and branded content based on comparable institutions. CASE Social Media Twitter Chats—Bimonthly conversations on the latest issues in social media and advancement. The second February chat is hosted by Tyler Thomas (February 26). Has Facebook Been Good for the World?—Facebook turned 15 this month. See what 15 influencers have to say about its impact on the world. How Four Schools Engaged their Entire Campus for Greater Student Success Impact—Four schools (University of South Carolina, Samford University, University at Albany, and Robert Morris University) share stories of campus-wide engagement in student success that had an immediate impact. Marketing and Advancement: Colleagues and Partners—or Direct Reports?—Rob Zinkan and Michael Stoner explore the current relationship between the CMO and chief advancement officer. See what the future holds for the relationship as institutions try to implement more effective engagement strategies. Social Media Accessibility: Alt Text and Closed Captioning—Liz Harter from the University of Notre Dame shares how to make social media content accessible. What Does Your Corporate Brand Stand For?—Determining an organization’s brand isn’t as easy as it is for a company with a product brand. In Harvard Business Review, authors Stephen A. Greyser and Mats Urde share a process for helping Volvo define its corporate identity. See how the process transfers to your higher ed brand. Liz and Ashley Rains from Spring Hill College present “Using Social Listening to Understand Brand Perception and Inform Marketing and Communication Strategies” on February 26 at 1:30 p.m. And make sure you stop by our exhibit booth to meet Stephen App, our new Account Executive! Advancement professionals should make sure to sign up for “Alumni Engagement and the Digital Landscape: Discover the Causes Your Alumni Care About” presented by Ashely Budd, Brent Grinna, Liz Gross, and Martin Sickafoos. Stop by our "demo pod" to speak with Liz or Steve and see social listening in action. 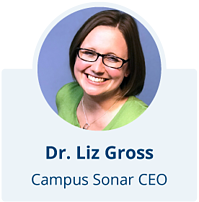 Visit Campus Sonar in the exhibit hall and see Liz’s session “The Strategic Value of Social Listening” on March 15. The session will define social listening and demonstrate its strategic value for branding and how campuses can leverage social intelligence from online conversations to impact public perception, alumni engagement, crisis awareness, recruitment, and more. Liz and Genna Kasun from Juniata College present “Using Influencer Marketing to Achieve Advancement and Enrollment Goals” on March 25 at 2:10 p.m. Get a sneak peek of what they might present from Genna’s blog post Creating Long-term Partnerships: Engaging Students and Alumni Influencers. You can also catch Liz and Steve in the exhibit hall.